Is there a musty odor in the air? If your answer to any one or all of the above questions is a yes, chances are you have a slab leak at your hands. 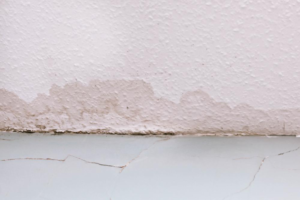 A slab leak appears above the ground, in your walls or ceilings, when the water lines below the concrete foundation of your house are broken or damaged. If left unattended, a slab leak can weaken the foundation of a house leading it to collapse. It’s also a health hazard as it becomes a breeding ground for pests and insects. Here’s what you should do to prevent slab leaks from appearing in your house. Hearing a loud clunking sound every time you turn on your tap is a sign that the water pressure in your house is very high. 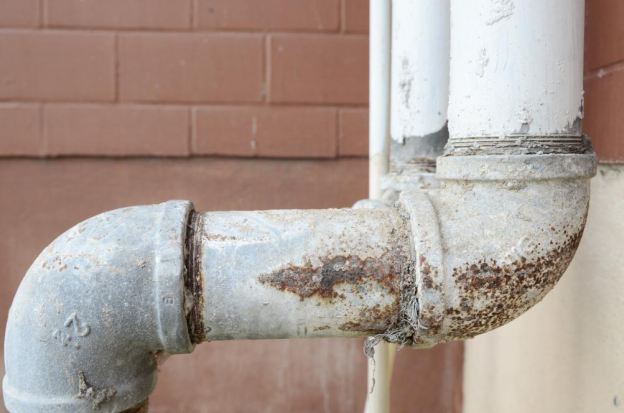 The constant shock from the rapidly flowing water wears off all corrosion-protective layers, rupturing and weakening the pipes. High water pressure is one of the most common reasons for a slab leak. But the good news is it can be taken care of just by adjusting the water pressure gauge. Every time you use a chemical drain cleaner to get rid of a drain clog, you’re compromising the long term health of your water pipes. Chemical drain cleaners have high alkali and acid concentrations that eats through the hardware of the water pipes and causes them to tear down. Next time you have a clogged drain at your hands, consider calling a professional plumbing service instead of using a drain cleaner. The hardness and softness of the water you get at home depends upon the amount of mineral content it contains. Water with high and low mineral content is called hard and soft water respectively. Water, neither too hard nor too soft is good for your pipelines. It can cause them to corrode and leak. To prevent that from happening call in a professional plumbing service to evaluate the hardness of the water and recommend a water softener if necessary. To prevent slab leaks from appearing in your house, it’s important that you schedule regular checkups with a professional plumbing service. They’ll evaluate your water lines, repair and replace any damaged pipes before they become a hazard for you and your house. If you’re looking for a reliable plumbing service in Boca Raton, Florida, get in touch with Your 1 Plumber. We offer excellent plumbing solutions including water leak detection, plumbing replacements, repairs and more!